Like a latchkey teen who keeps switching over to HBO out of sheer boredom and comforting familiarity, Paramount continues to return to the idea of remaking 1987’s Summer School—the Carl Reiner-directed, Mark Harmon-starring comedy that swallowed many a kid’s adolescence with its hypnotically breezy, good-natured charms—despite there probably being some book they could be reading, or something interesting going on outdoors that might make for a good movie. 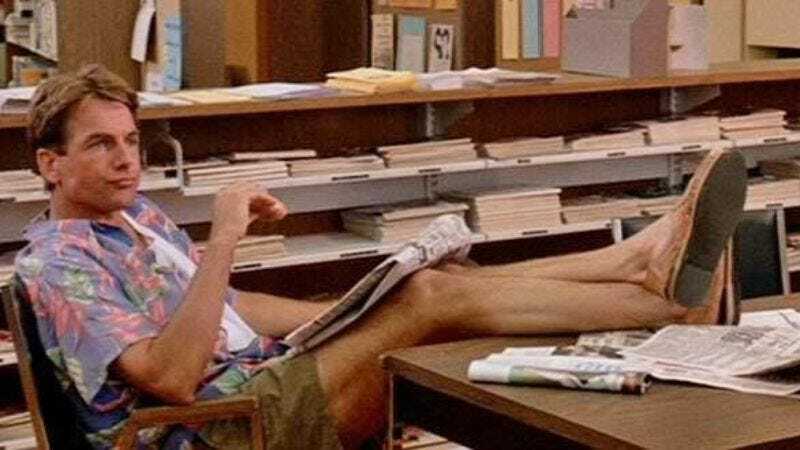 But Paramount has been stuck in Summer School since at least 2005, and now that malaise has reached its natural culmination with the news that it’s hired Adam Sandler’s Happy Madison production banner to remake it for a newer, screechier generation. The Hollywood Reporter notes that Sandler is only attached to produce, not star in the story of a gym teacher stuck babysitting a remedial class of goofballs and psychopaths, meaning it could soon be added to a lineage of non-Sandler-starring Happy Madison films that includes Bucky Larson: Born To Be A Star and Zookeeper. Demands that Paramount instead turn off this nonsense and go mow the lawn went unheeded.